Simply terrific. This is our hotel in Livigno, the Montivas Lodge. 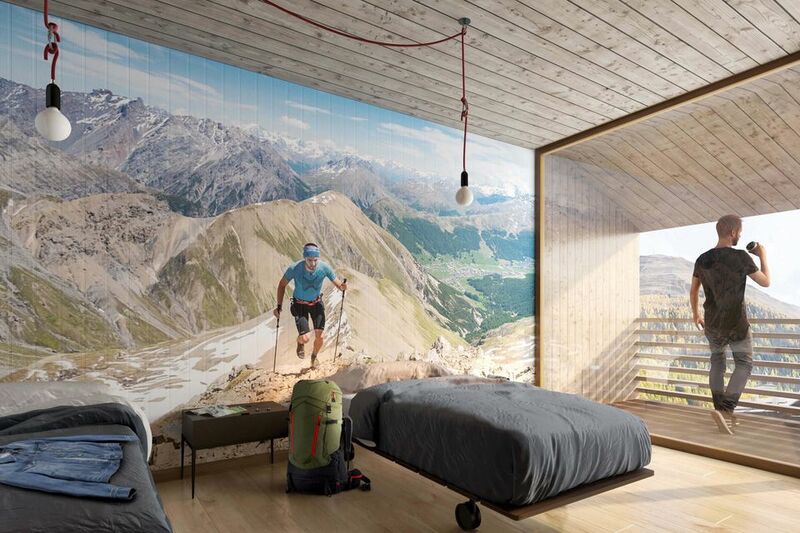 The hotel is perfect for your adventures in the Alps. Whether it’s spring, summer, autumn, or winter – you can experience something 365 days a year around our hotel in Livigno. Are you dreaming of the most exciting outdoor paradise in the Alps or are you already on your adventure? Escape everyday life and make our hotel in Livigno your home base. Do you want to be free as a bird on holiday? No problem! At our hotel in Livigno you can enjoy the day just as you prefer. You can do everything, although you don’t have to – now that’s what we call freedom. 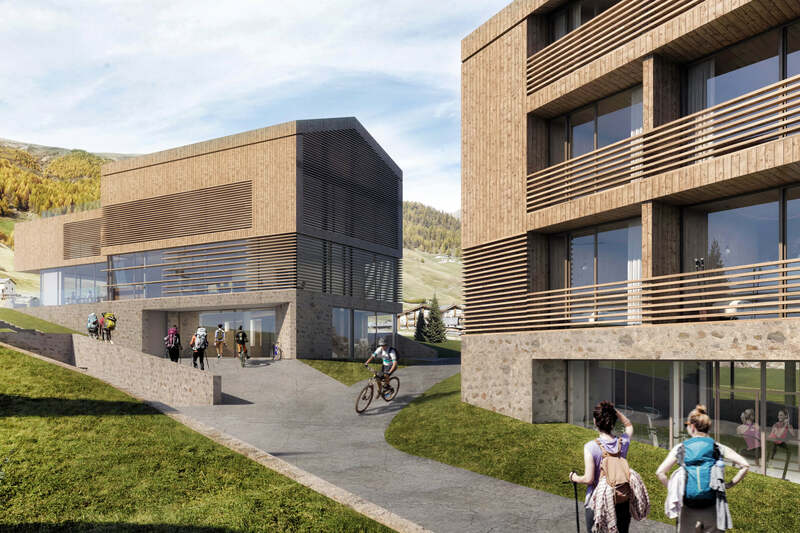 That is also why we have built an accommodation in Livigno that is simply different: urban, easy-going, and sustainable. 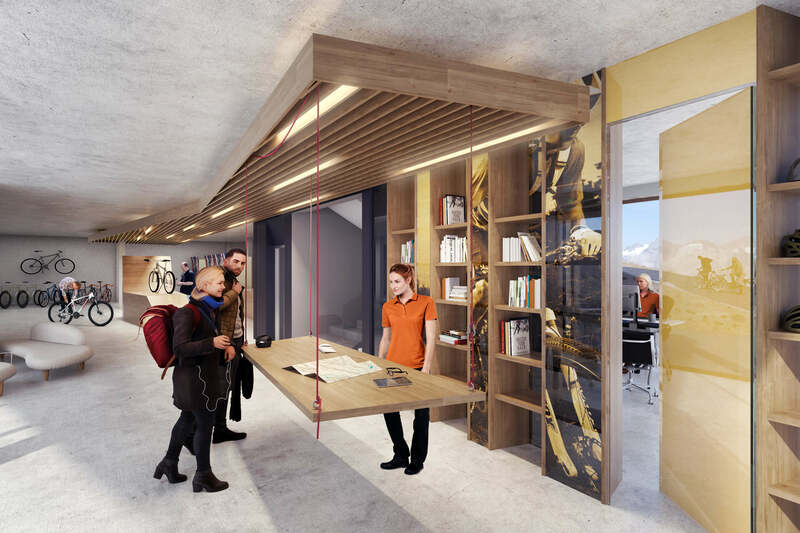 Don’t be fooled by the simple chic, our hotel in Livigno has been thought out down to the last detail to provide you with the ultimate holiday destination. From the lobby, the bar, and the restaurant to the wellness area and the lodges with a view of the Alps – just sit down and make yourself comfortable. Check it out for yourself! Forget everything you've experienced so far. In Livigno, the term active holiday is redefined! Here, in the tiny Tibet of the Alps, you can pump up your adrenalin 365 days a year. Are hiking, mountaineering, mountain biking, skiing, and snowboarding your passion? Congratulations, you have arrived in paradise. During your holiday in our hotel in Livigno, you can get your fill of fun on the slopes. But that's not all that awaits you on an active holiday in Italy. Because off the slopes and on new paths, never-ending adrenalin kicks await you – such activities include: climbing, freeriding, heli-skiing, and so much more. With the fantastic breakfast in our hotel in Livigno, you are well prepared for any adventure you set off on. Let’s do this! A picture says more than a thousand words. That’s why we share the most beautiful pictures and spectacular videos of the Montivas Lodge with you. Are you ready for your next adventure? Action is exciting but sometimes it’s nice to take it easy. What better place to take it easy than on the rooftop of our Livigno hotel where, from December 2019, you can just hang out and reach for the stars. Whether with a cold beer in the whirlpool or a relaxing saunasession – at our wellness area, you can relax your body and mind. Do your muscles need a fine tuning? Then off to our fitness or yoga room! If you just want to chill out with your buddies or exchange ideas with like-minded individuals, then our open-space room, the restaurant, or the bar are – from December 2019 – the places to be. 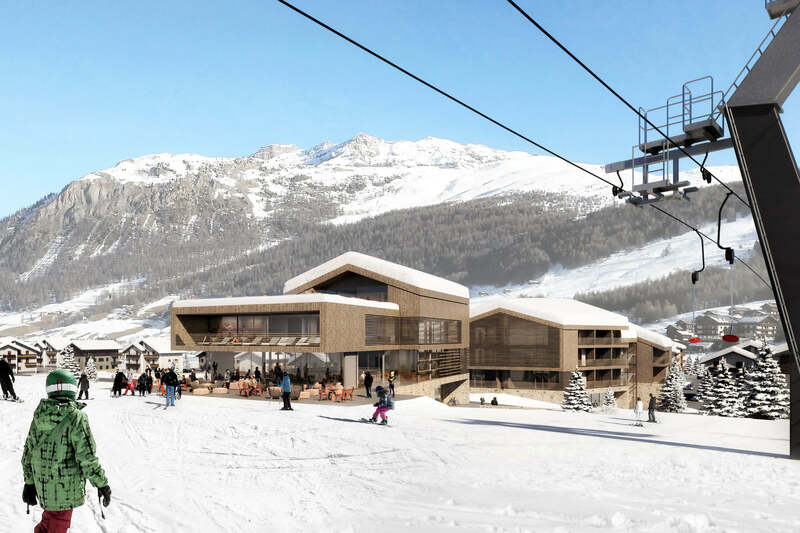 Here, you can prepare yourself for the exciting nightlife, as Livigno also has a lot to offer.